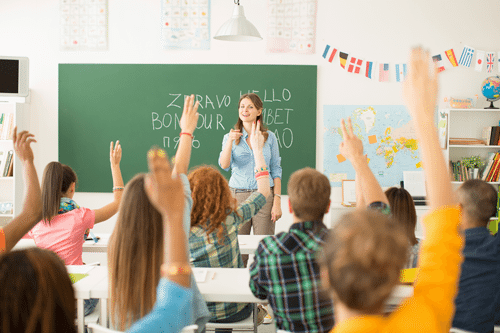 Our wide variety of software products provides scalable solutions for schools, membership organizations and First Response groups. 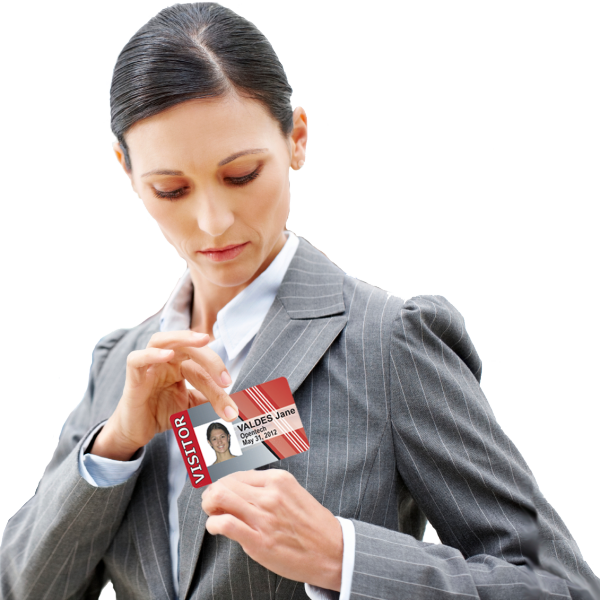 We can meet your technical needs with a broad selection of software and devices enabling identifying and tracking individuals and assets on your: Campus, First Response scene and Membership organization premises. Our products are delivered to suit the requirements of customers with a wide range of needs. PeopleTrack Mobile Brings Tracking to the Action Whether your school or organization is large or small, when people are on the go, you have to be on the go as well. Track staff, visitors and students as they move from one activity to another, on or off facility. Ensure student safety by accurately and securely tracking student activities. Track students quickly and easily PeopleTrack SM (Student Management) is designed not only to track attendance and tardiness of students but also to track the student’s use of school facilities such as the cafeteria, library, weight room, or after school activities. SM will meet the demanding requirements of school administrators. Designed to be an all-in-one, universal tracking solution that provides the tools necessary to accommodate almost any school that wishes to track individuals coming through the door. The primary emphasis behind SM is simplicity and flexibility. Simplicity: an intuitive program that has all the features of rival products in the market today without complicating the interface and requiring very little training in order to use. Flexibility: build upon our slate and create the structure and function that uniquely fits your school. SM is designed to work on a standalone PC in the main office or on multiple workstations connected to a central database on the campus network. 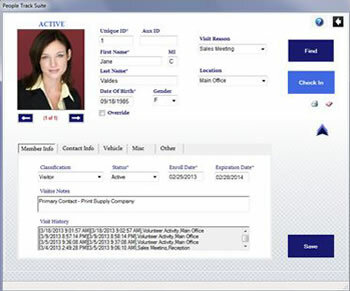 Visitor, Vendor, Tracking Software – Make sure everyone’s Safe, Secure and Accountable. Do you want to improve security and increase the efficiency of you visitor registration process? Our PeopleTrack VM (Visitor Management) solution is designed to quickly and easily track visitors and vendors entering or leaving your facility. Companies or organizations in any industry can benefit from using PeopleTrack VM. PeopleTrack VM offers all the vital Visitor Management features for today’s Corporate and Government Office Buildings, Visitor Stations, Emergency Centers, Lobbies and Recreation Centers.